string(1301) "Resource Centre > Uncategorized > Labour Exploitation Advisory Group (LEAG) Position Paper: Labour Compliance to Exploitation and the Abuses In-between"
Expert members of the Labour Exploitation Advisory Group (LEAG) have identified a strong causal link between labour abuses and labour exploitation1 within certain UK labour sectors and particularly amongst migrant communities with whom they work. 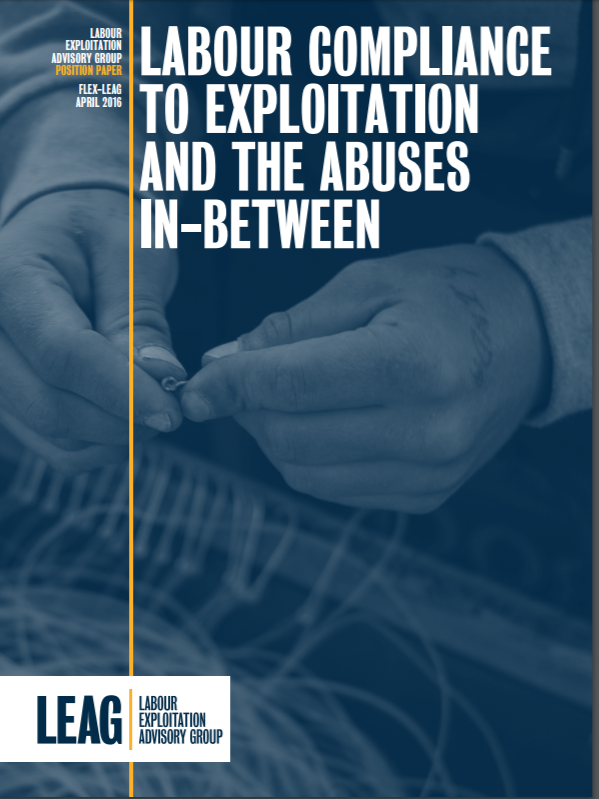 Abuses occur across the continuum, from relatively minor infractions to extreme exploitation and slavery. . As indicated by FLEX research published in 2015, the UK has one of the weakest labour law enforcement structures in Europe. This position paper was developed to represent the views and experiences of LEAG members on the relationship between labour abuses and exploitation.